Greetings, readers. It is good to be back after a long absence. It appears I’m on my own road to indigo, having moved recently from the Northwest to Southern Louisiana. “You’re living your novel,” one friend observed. She’s right in many ways. 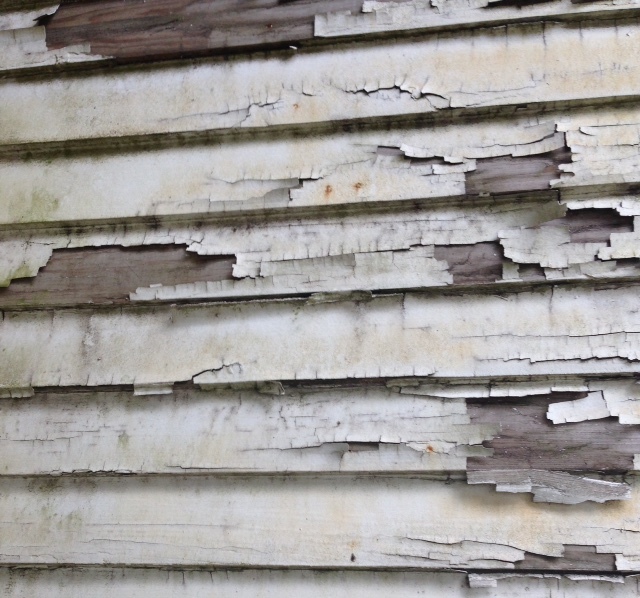 I scrape at the scars on the old Louisiana cypress house, its boards of peeling paint beaten by sun, wind, rain, and decades of neglect. I pound the loose white paint then scrape, chips littering my lashes and dotting the sheared-to-the-ground nandina, sacred bamboo someone long ago put around the porch. I scrape down to the raw wood sometimes unintentionally inflicting new wounds I will need to sand and caulk and prime. My wrist burns after hours of raking a double blade across the grain of plank-after-plank, ribs that shape my shelter. The job is too big. It’s been two days of scraping and my workers need to move on to other jobs. We reach up into the soffits, swerving blades beyond points of roofer nails poking through boards. I first saw this house online. It was May, the usual month I came to stay in Breaux Bridge, Louisiana, during the past four years. Only this time I decided I wanted to stay. For months, I sat in my Tacoma, Washington, writing room scouring the Internet for real estate sites displaying new listings. I looked out at the grey rain and dreamed of Louisiana, its sunny fields of swaying cane. I saw myself at Café Des Ami, where one could never grow old dancing at the Zydeco breakfast. I even sent my Louisiana friend to look at a couple of promising houses. None, she said, looked like the pictures online. Bad aluminum siding, dangerous neighborhoods, cheap fixtures, she said. And when I came in May to look for myself, I could see she was right. I stopped research on my novel, the original reason I came to Louisiana, and spent hours, days, weeks cruising Southern highways, back roads, and websites, looking at each structure asking, “Are you my home?” like the children’s book protagonist asking things unlike itself, “Are you my mother?” It was exhausting. Then one day I found it. I found my home on an obscure website, its long-leaf pine floors glistening, floor-to-ceiling bookshelves and window seat lining one wall, pillars leading from living room to dining room that looked large enough for a state dinner. There was a huge front porch and stained glass windows growing lotuses. And the front door? Carved oak with an oval beveled-glass window flanked by side panels with smaller oval windows, a rectangular transom window crowning the trio. In the kitchen were original glass-fronted wood cabinets, burnished brass hardware, granite countertops, and a swinging paneled door leading from the kitchen to a light-filled dining room. I shut my laptop and called a realtor recommended by an LA 31 brewery owner I’d met the day before. Miss Katina greeted me on the porch opening the door with a key she’d gotten from Miss Dee, a realtor friend and listing agent representing the bank-owned house. The listing was so new that there wasn’t even a lock box on the door yet. I’d asked my realtor to bring an inspector. We looked around and I made an offer on the spot. The truth is, the house was a beautiful ruin. Blind to its scars, all I saw was pure beauty. Walking its floors for the first time, I knew it was mine. My offer was accepted and for the next two weeks I fought hard to put the deal together. Faced with repeated rejection due to no fault of my own, I reluctantly let go. And when I did, a door opened. I owned a house in Louisiana. No longer a beautiful ruin, exactly, now it’s akin to Cinderella at the ball, her promise glistening as she dances something new into being. Under crumbling paint awaits prized cypress. These scars are beautiful. They are mine. Together we heal, this house and me. Yes, I came to dance. 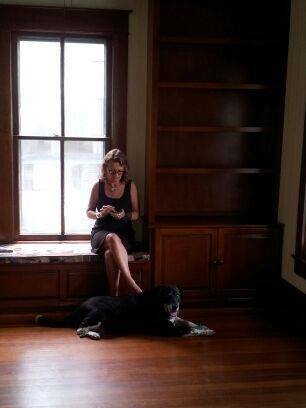 This entry was posted in Uncategorized and tagged Acadiana, Moving, Restoring old house, southern Louisiana. Bookmark the permalink. Sandy it is wonderful to hear your writer’s voice again. So glad the story of your move is coming into its own. Thanks so much, Ardine. It’s a start. There’s lots to say. “Together we heal, this house and me.” I love this line and love that you are here. I wish we could soak up more creativity together. Let’s make it a goal for 2015.